this story began when his owner start to ask him what reward he love the most , the owner thinks that he can slip in a crunchy vegetable and the rottweiler will be none the wiser. 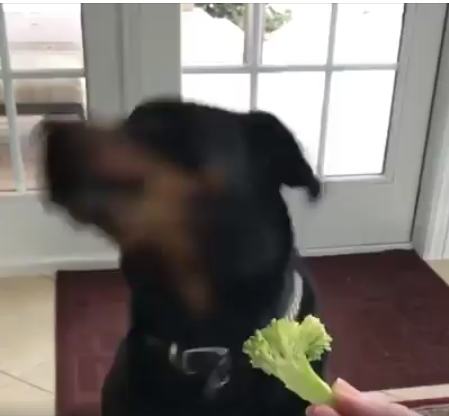 This clever Rottweiler knows better than to settle for a humble piece of broccoli or carrot when cheese is on the line! Watch as he makes his preferences known. He shakes his head no when presented with the lesser treats—and nods emphatically for the tastier morsels. you want cheese? Yeah. – you want broccoli or carrot? No, I don't.